A couple of years ago I was taking my oldest son to the dentist, which was in a four story builder. When we arrived, there was a professional window cleaner cleaning windows three and four stories above the ground with an incredibly long pole brush attached to a hose. My young son was enthralled. Fortunately we arrived early so he could watch this guy wash windows way up above the ground. If you’re reading this, you have a big job ahead of you. Cleaning all the windows of a house is a big job, especially if you have a two story home. I’ve done a few times and it’s not fun. But, it must get done. Is it worth if f you? It depends. According to Costhelper.com, it costs $2 to $7 per window pane. If you have 30 window panes, that’s $60 to $210. I have to admit, that seems really inexpensive. I guess professionals can do it super fast. It takes me forever, so I’m all for hiring professionals. However, if you’re a DIY type, have extra time or loathe paying for things when you can do it yourself, you can elect to do it yourself. If you’re going to clean windows, you do need to invest in a tool or two. Below, we set out a huge selection of different types of tools for cleaning windows. Your brush is going to be one of the main tools that you use when cleaning your windows, so you need to make sure that you take the time to not only find a quality one that will last for a long period of time, but one that is also comfortable for you to hold and grip tightly. While it can be tempting to choose a brush that has very firm or hard bristles, there are other tools that you can use to remove anything that is stuck to your windows. Using a soft-bristled brush will ensure that you can gently and evenly scrub at anything on your windows and leave behind a clean surface. These brushes come in many different styles, so it is important to choose one that will keep your hand in a natural position while you are using it so that you aren’t in danger of damaging or injuring your wrist. Also, make sure that the bristles are tightly attached to the brush so there is little fear of them popping out or falling out while you are cleaning your windows. 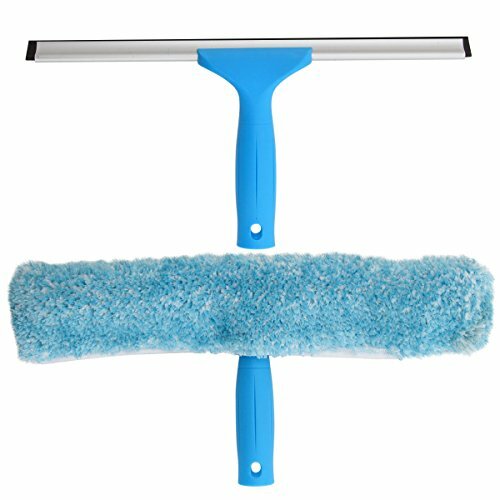 Very similar to a squeegee in appearance, a strip applicator that has a cloth head allows you to put water on the window and wipe areas without removing all of the water from the surface. It’s important that you choose one that has a head that is sized correctly for your windows or you will be likely to be very frustrated when trying to use this tool. They are ideal not only for adding water to your windows when you are unable to reach high enough with a sponge or a rag, but also for removing some of the water as well. It’s also important to make sure that you choose a strip applicator that is sturdy enough to scrub your windows without it being damaged or falling apart. While you won’t be able to use the strip applicator to remove anything that has dried onto your windows, it provides a great way to dampen bits of material that is stuck on the glass. If your strip applicator comes with an optional nylon scrubbing pad, you can switch to this pad if desired to try to remove more difficult substances. Choosing the right squeegee is important if you are going to be cleaning your windows and don’t want to spend a lot of time worrying about small amounts of water that are left over. 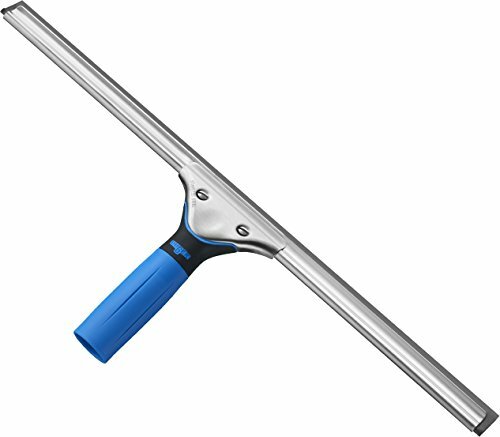 You need to consider four main aspects when looking for a squeegee: the weight, the handle, the size, and the rubber blade. It’s important to make sure that you choose a squeegee that has a very durable rubber blade or it will begin to crack and tear shortly after you buy it. A squeegee that has a very sharp blade will do a much better job removing water from your windows than one that is dull. 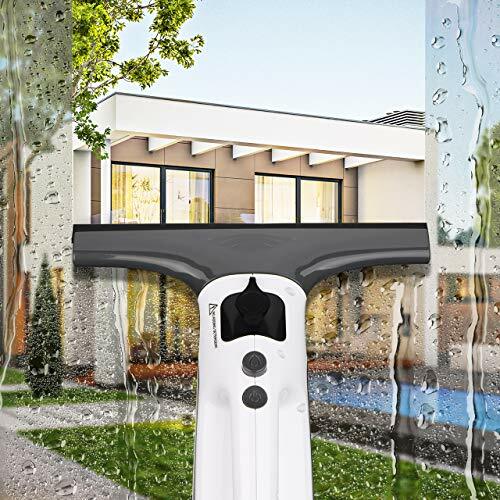 Because the rubber will naturally dull over time, you will want to consider buying a squeegee that has a reversible blade so that you can flip it over when the time comes. When considering the handle of your squeegee, you will likely want to opt for one that is made of rubber. 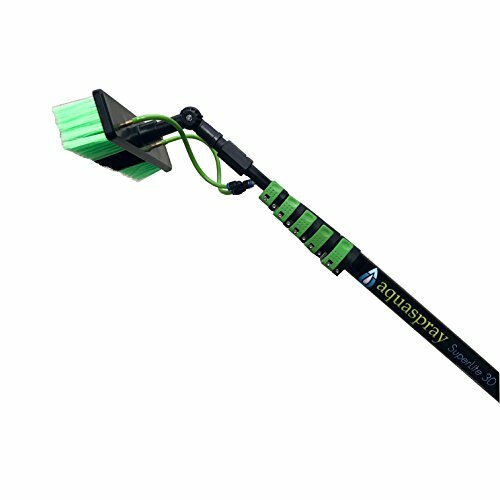 These allow you to easily get a strong grip on the squeegee so that it won’t slip out of your hand even when it is wet. While you may be able to save some money buying a squeegee that has a handle made of plastic, they are not comfortable, are difficult to hold onto when they are wet, and can crack and splinter if they are dropped from high in the air. Very large squeegees are ideal for use on large windows, but if you choose a squeegee that is too large for your space, you will only be frustrated. Make sure that you choose one that is sized correctly for the easiest use. Without a great scrubbing pad you won’t be able to remove anything from your windows that may be cooked on from the sun. Bits of dried tree sap or bug droppings can be a nightmare to try to remove from the glass of your windows with soft bristles, which is why you need to make sure that you have the right tools for the job. 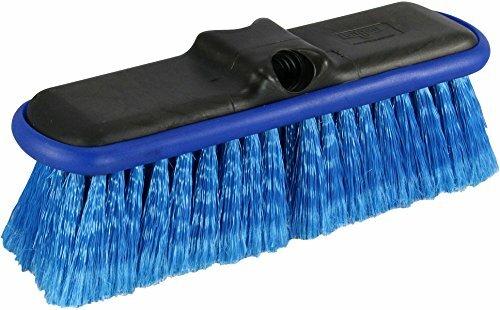 You can easily buy nylon scrubbing brushes in multiple packs so you will have plenty of scrubbing pads for jobs around the home or for when you need to clean your windows again. 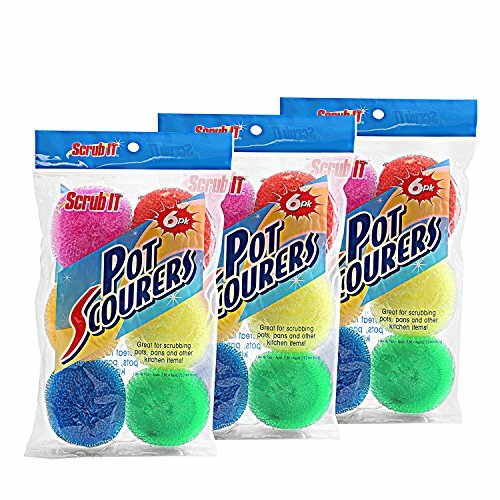 These scrubbing pads work best when you have a little bit of soapy water on them and can then use them to gently remove dried-on bits from your windows. For the best possible results, it is a good idea to allow a little bit of soapy water to penetrate into the tree sap or bugs that you are trying to remove so that they soften up a little bit before you attempt to remove them with the scrubbing pad. While it may be tempting to reach for your fine steel wool when you encounter bits of dried bugs or tree sap on your glass, it’s best to use a nylon scrubbing pad to remove those. 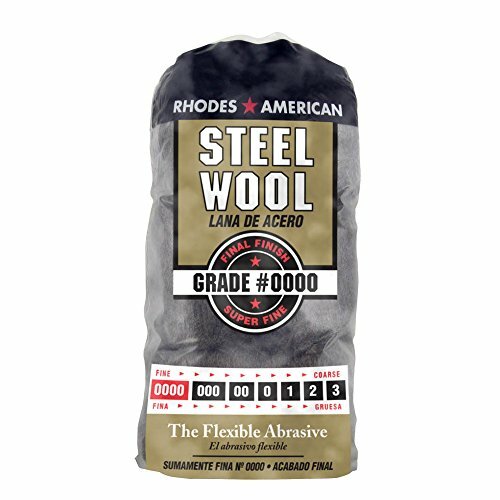 Fine steel wool is much better suited to removing any mineral stains that you may have on your glass. These can be almost impossible to get rid of any other way, which is why you need to make sure that you have the right tools on hand to get rid of them. You can easily wet your steel wool with a bit of soapy water and then gently rub the steel wool on the mineral stains. After using your steel wool, you will want to rinse off the glass to ensure that the stains have been completely removed and to prevent any streaking from occurring when the window dries. Picking a ladder for cleaning your windows may seem like an easy job, but there are a few things to consider that can help ensure that you make a good choice and get a ladder that will keep you safe while you are working. It’s important that you choose a ladder that is tall enough that you can easily reach the windows you are going to be cleaning without having to stretch too far, so that you are not in danger of tipping over. You will also want to make sure to buy a ladder that is not so heavy that you can’t easily move it when you are ready to clean a different window. Also, look for a ladder that has a sturdy platform near the top. This will give you a safe place where you can put your bucket of soapy water without worrying about it falling off the ladder. 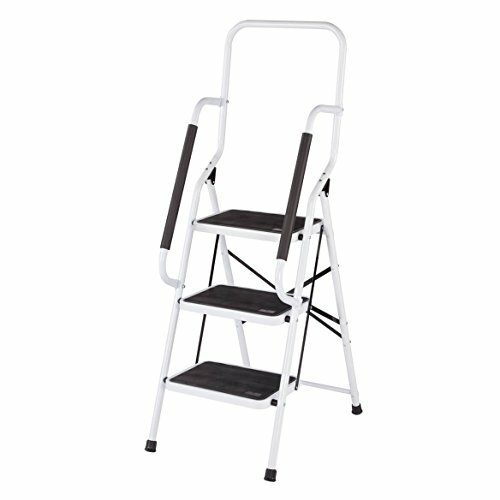 If you do not have a sturdy platform on your ladder, you will have to put the bucket of water on the ground and climb up and down the ladder every time you need to rinse out your sponge or cloth. An oversized sponge is great for gently washing windows and makes it easy to get into corners to remove any trapped dirt. You do not need a scrubbing sponge, as you will have other tools that can complete that task for you, but rather simply a large sponge that can easily hold a lot of water at once to wet your window for cleaning. 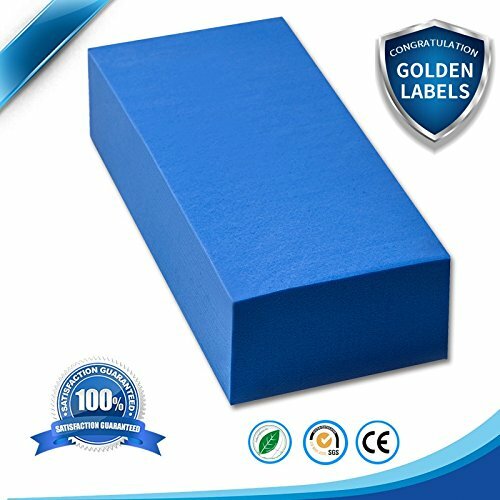 Sponges are relatively inexpensive, and because it is very likely that you will squeeze your sponge and potentially rip it, it’s best to simply throw this tool away and buy a new one when necessary. The right bucket for you will depend greatly on the size of the squeegee or cloth that you are going to be using, as you want to make sure that the head of it will be able to easily fit into the bucket without any problems. This will allow you to rinse off your cloth or squeegee and apply more water to your windows as needed. Although you want your bucket to be large enough to easily use, you still need to make sure that it is small enough that you can move it from location to location without difficulty. Remember that your bucket is going to be very heavy when it is filled with water, so take that into consideration when you are choosing a bucket for this task. You also need to make sure that the handle is comfortable for you to grip and hold. 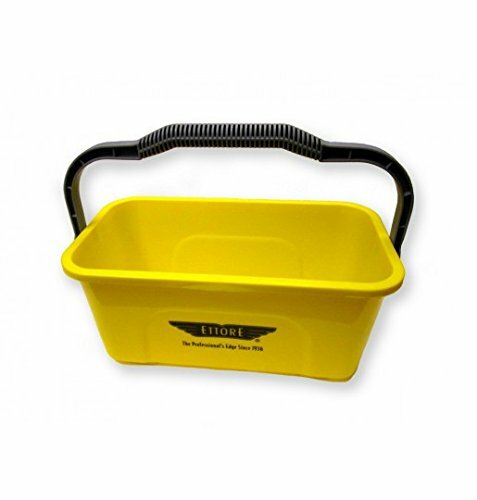 Many buckets are available with ergonomic handles, and these are a great choice if you are worried about experiencing any pain when lifting or moving a bucket full of water. Because you are going to have your hands in soapy water and possibly even add some cleaning supplies to the water to remove gunk from your windows, you will want to invest in some rubber cleaning gloves. These do not have to be expensive or fancy. Some of the best gloves for this purpose can be used and then simply thrown away when you are done, which is why it’s a good idea to buy a large supply of them. 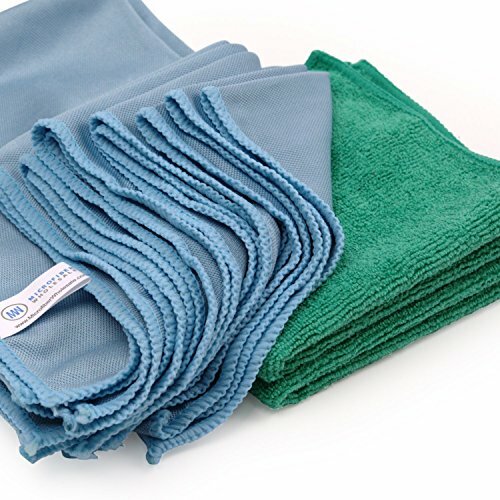 When buying lint-free rags, it is a good idea to buy a large pack of them, as you will want to make sure that you have new ones on hand to dry your windows. This will ensure that you do not accidentally leave behind any streaks. If you do want to wash your rags to help save money, make sure that you do not use fabric softener when washing or drying them. Any kind of fabric softener can transfer to your windows and cause them to become streaky and caked with a residue. Soft lint-free rags are great for drying any last spots on your windows that are you are unable to clean with a squeegee. 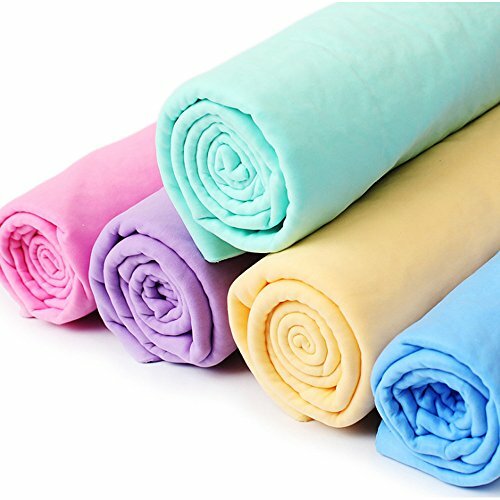 They are also perfect for getting into tight corners, as you can wrap the fabric around your finger, and they are also easier to maneuver than a large squeegee. If you want to make sure that you do a complete job when you clean your windows, you need to make sure to go ahead and tackle the window tracks as well. It’s easy to avoid cleaning this area as it takes a little extra work, but doing so will make a huge difference in the final appearance of your windows. 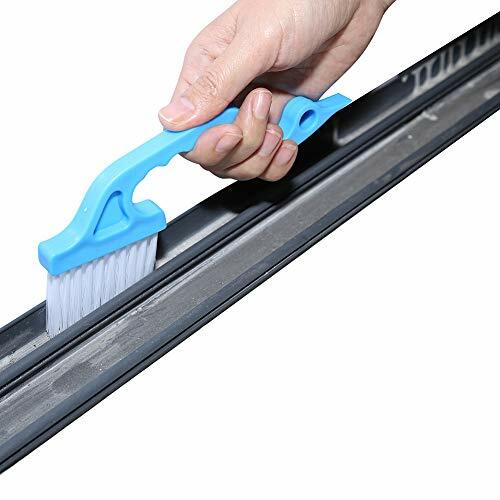 To be able to easily get into the tight track of your windows, you will want to invest in a small track cleaning brush. These have hard, stiff bristles that will be able to remove any gunk that is stuck in the track. Also, since these brushes are so much thinner than other types of brushes that you may use to clean a window, they are easy to maneuver and use to clean your tracks. You won’t have to worry about whether or not you will be able to push the bristles into place when using these brushes. The fastest and easiest way to clean your windows without spending a lot of time researching the types of tools that you will need is to simply buy a window washing kit. While these kits may not have the highest quality equipment or supplies included in them, they will include everything you need to get started washing your windows without a huge delay, which is ideal if you are in a time crunch and do not have the time or ambition to research available tools. Look for a kit that includes not only a pole but also a bucket, squeeze, and even a wet scrubber. One of the perks of buying a window washing kit is that you can rest easy that the scrubber and the bucket will work together and that you won’t have to worry about the bucket being too small for you to easily rinse off your scrubber. 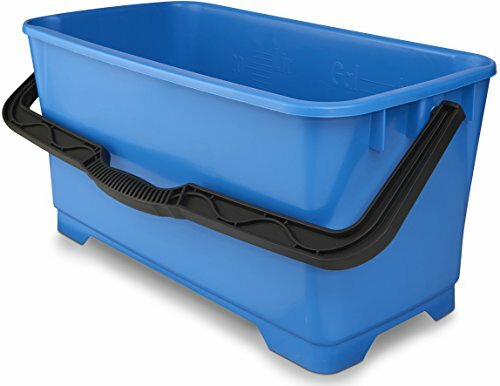 When you have finished washing your windows you will appreciate that you can store all of the items inside of the bucket until the next time that you need to use it. 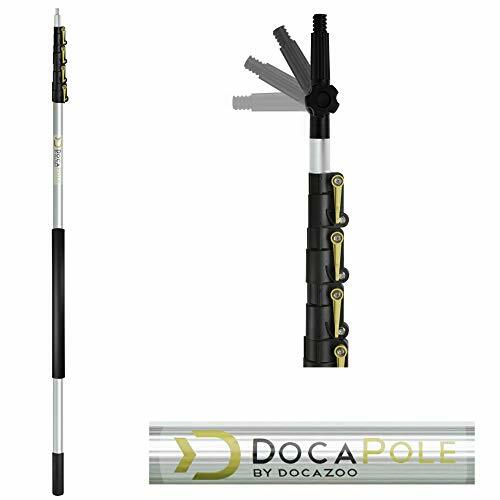 Even if you are only going to be washing windows that are on the first floor, you will want to make sure that you buy a telescoping pole to make this task as easy as possible. While using a ladder is a wonderful way to ensure that you can easily reach up to higher windows, there are many people who are not comfortable standing on ladders for long periods of time, and for them a telescoping pole is imperative. Look for a pole that can lock tight when you adjust it to different heights so that you don’t have to worry about whether or not it is going to slide back down when you lift it above your head. It’s also important to consider the material that the pole is made of. While you want it to be sturdy and durable so that it doesn’t easily become damaged, you also have to make sure that the material is light enough for you to easily lift it. Otherwise you will run into the problem of your arms getting too tired to continue to holding the pole up above your head. 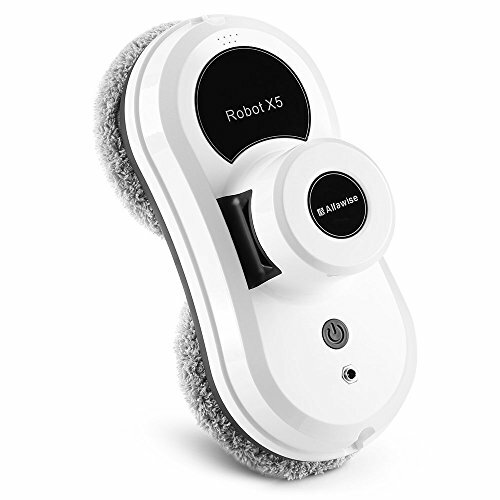 One of the newest advances in tools that are used to clean your windows is a robot cleaner. These are made with powerful technology that allow them to efficiently, quickly, and easily clean your windows without you having to lift a finger to complete the work. They prevent you from having to either use a telescoping pole or climb up on tall ladders to be able to reach higher areas when you need to clean your windows. They have automatic routes that you can select to ensure that you optimize the cleaning pattern, as well as a very powerful suction that holds the cleaner tightly to the surface of the glass. Unfortunately, these tools can’t be used on windows that have slopes, as they will not be able to grip the glass or to climb up them. However, they are remote control operated, making them very easy to control without having to be up by the window yourself. These tools are ideal for very large panes of glass so you do not have to spend a lot of time moving the robot to a new location, so if you have smaller glazed windows, it may be a better option to simply wash your windows by hand. It’s important to use the right cleaner with these tools so that they do not leave circles of soap scum on the window pane when the water dries. It can be very difficult to clean your windows when they are on upper floors, even if you have a telescoping pole or a tall ladder at your disposal. Rather than putting yourself in a dangerous situation when you are trying to clean the outside of your windows, you can opt instead for a magnetic tool that allows you to clean the outside panes of your glass from the safety and comfort of your home. These tools are perfect if you are trying to clean a window that is wider than the length of your arm and you are unable to easily reach all areas of the surface. Using a microfiber cloth on both sides of the tool, you will be able to clean both the inside and the outside of your windows at the same time, reducing the amount of time that you spend on this task. 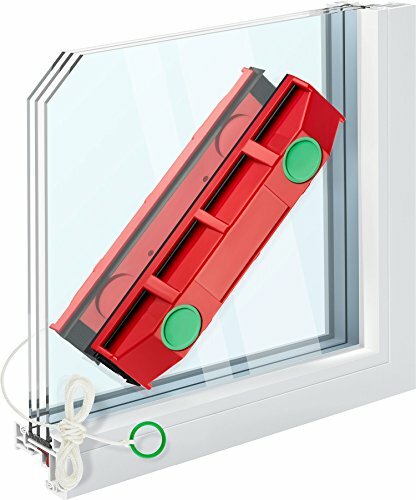 They operate with very powerful magnets that hold the tool together through the window so that you don’t have to worry about the outside portion of the cleaner falling to the ground. It is easy to spray water on the window and then use a blade or squeegee to run the water along the window. The magnetic tool will then allow you to clean the outside of the window by connecting the magnets of the two halves through the glass. Make sure that you hang onto the safety string in case you drop the outside half of your tool so that you don’t have to retrieve it from the ground or worry about it breaking. Because you are going to be working with your hands when cleaning your windows, you will want to invest in ergonomic tools. While these tools will not make the actual job of cleaning your windows any faster or easier, they will prevent you from experiencing a lot of pain in your hands and the wrists when you are working. This is especially important if you suffer from any kind of arthritis in the hands, as holding on to a bucket handle or the handle of a squeegee for long periods of time can be very painful. While not every tool that you need for cleaning your windows will be available with an ergonomic design, spending a little extra time looking for tools that are ergonomic will ensure that you are able to work for longer periods of time without causing yourself a lot of pain. I’ve saved the best for last. If you’re washing your window exteriors, you gotta get this because it makes it so much easier. You simply attach the hose and get some soap and you’re good to go. This takes squeegee and window cleaning to a whole new level. This helps reduce streaks. I think it’s a cool idea, but I don’t think I’d go through that much hassle to clean the windows. I remember when I used my first chamois as a kid. I loved these things – so soft and they soaked up everything. While probably not as good as a squeegee, these are a solid option for cleaning windows from the inside.